Weinheim : Wiley-VCH ; Chichester : John Wiley [distributor], 2007. Nuclear physicists -- Poland -- Biography. 1 online resource (xiv, 355 pages) : illustrations. 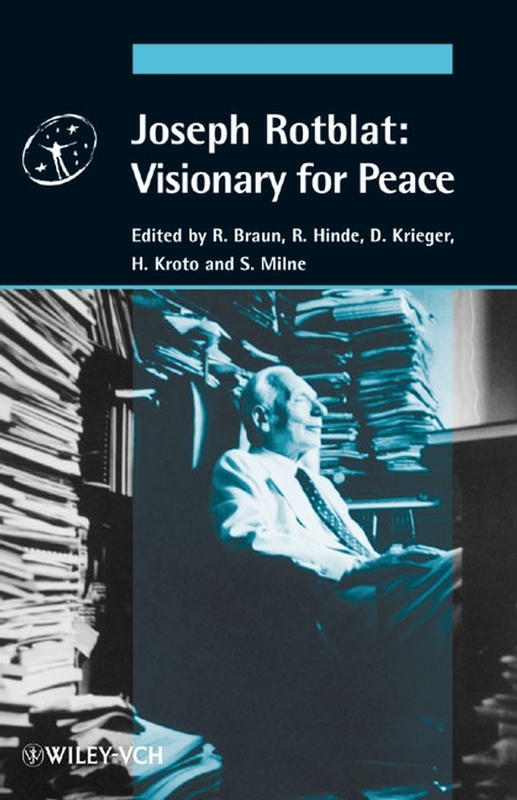 Joseph Rotblat: Visionary for Peace; Table of Contents; Portrait J. Rotblat; Dedication; Preface; Part 1 Joseph Rotblat; Part 2 In Memory of Joseph Rotblat; Part 3 Appendix; Curriculum Vitae; List of Contributors; Acknowledgments. Add tags for "Joseph Rotblat : visionary for peace". Be the first. SCIENCE -- Physics -- Nuclear. SCIENCE -- Physics -- Atomic & Molecular. Kärnfysiker -- Polen -- biografi. schema:isPartOf <http://experiment.worldcat.org/entity/work/data/899631204#Series/history_of_knowledge> ; # History of knowledge. <http://experiment.worldcat.org/entity/work/data/899631204#Series/history_of_knowledge> # History of knowledge.